It's a jungle out there! - Where are Sue & Mike? Home/Argentina, Patagonia/It’s a jungle out there! 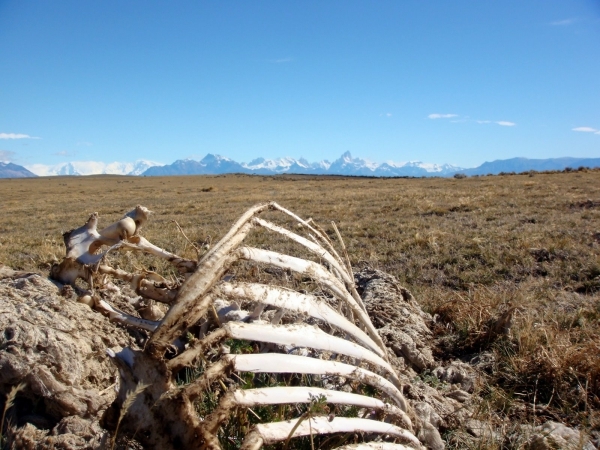 Trekking out on the Pampas (lowlands) vast terrain, with the Andes mountains in the background…we saw remains of sheep and guanaco, hunted by the puma, which is like a very big mountain lion. We were lucky to see a group of 8 condors. Although they are a bit shorter beak to tail than their California condor cousins, they actually have a bigger wingspan, which can reach up to 14 FEET (think about that!) The Andean condors also are far more handsome, with a black head. 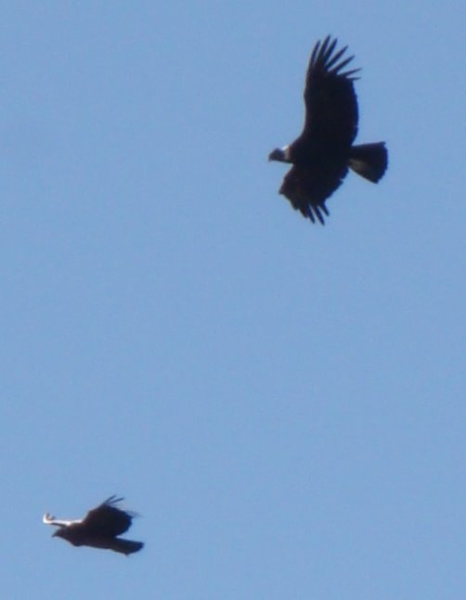 Since condors only eat carrion, and they were in such a big group, they must have been circling a kill. Competition for food in the wild is fierce.